Attorney Svetlana Kaplun Uses Foreclosure Defense and Fights to Help Homeowners Stop Mortgage Foreclosures and Save Their Homes. Have You Stopped Making Mortgage Payments And Are Now Facing Foreclosure? Whether you have stopped making your mortgage payments years or months ago, you still have numerous options to keep your home! Below we provide a glimpse into the foreclosure process and how an experienced attorney can defend you against it. Step 1: You stop making mortgage payments. Step 2: You receive a letter from the bank or servicer of your loan giving you ninety (90) days notice before a lawsuit is filed against you. Defense: Failure to receive such a letter from the bank is a violation of law and could be a major defense against foreclosure. Step 3: The lawsuit is started when you are served with a summons and complaint. Step 4: You must answer the complaint and use all possible defenses and counterclaims available against the lender. You have twenty (20) days to answer if you were personally served with the complaint or thirty (30) days to answer if you received it by mail. Defense: Improper service is another major defense against foreclosure that could result in a dismissal of the lawsuit. Step 5: The lender, via its attorneys, files a request for Judicial Intervention, i.e., a judge gets assigned to your case. NY Laws mandate that homeowners are first given a chance to negotiate loan modification with the lender at mandatory court settlement conference. Defense: All parties must negotiate in good faith and where the lender refuses to do so is another possible defense against foreclosure. Step 6: If the case is not settled in the mandatory court settlement conference part, the case is sent back to the assigned judge to continue on the foreclosure track. Defense: This is the most crucial part -- LITIGATION. Whether you have put in an answer to the complaint with all the possible defenses and counterclaims or not will matter the most at this stage. All you need is at least one proper defense to emphasize the plaintiff's defects of the lawsuit in order to avoid foreclosure. 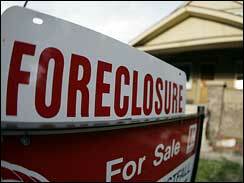 Why Do You Need An Experienced Attorney To Help You Fight Foreclosure? Borrowers today have many more possible defenses available to them to fight against foreclosure. Depending on your unique circumstances and your intentions for your home, there are multiple options available to save your home. You need an experienced attorney and staff to thoroughly analyze each and every piece of paper filed by the bank in order to stop foreclosure at its root. As briefly illustrated above, in various circumstances, foreclosure lawsuits could potentially present numerous defects that are invisible to an inexperienced eye but scream loud and clear to a professional legal staff at Law Office of Svetlana Kaplun, P.C. As a matter of fact, objections to a foreclosure proceeding on such grounds opens up a pathway for the banks to eagerly engage in settlements negotiations and to proceed with dismissal of their action altogether.